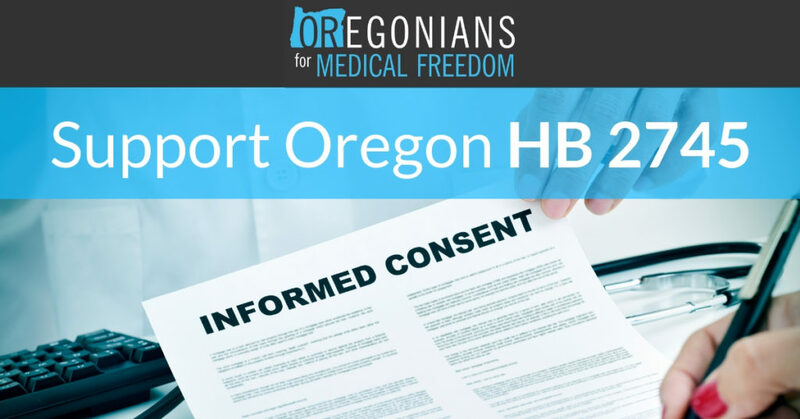 Oregonians For Medical Freedom Notes: HB 2745 would help provide informed consent to parents/patients. When a vaccine is administered, the doctor’s office would provide a paper with a URL and QR Code that can be scanned that would take the user to an OHA maintained website. This website would contain access to the manufacturer’s package insert for each vaccine, the CDC vaccine excipient list, and a list of any ingredients that are considered high priority chemicals of concern by OHA. 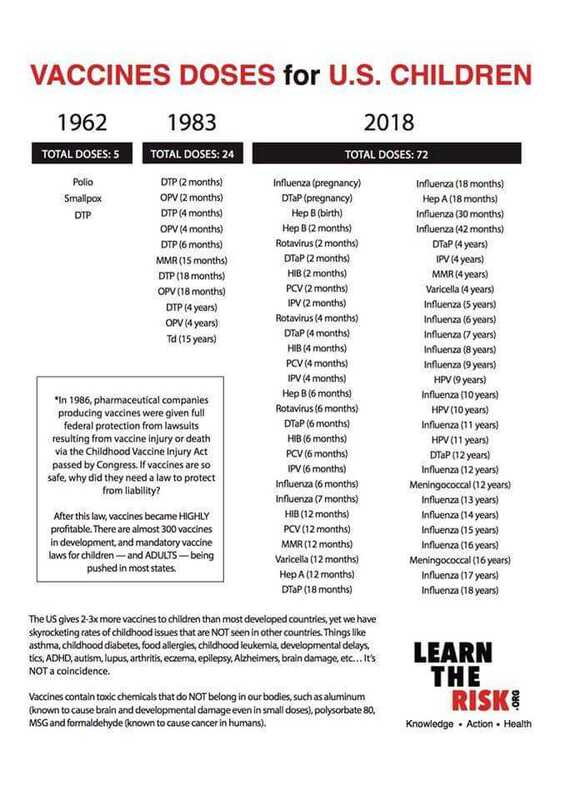 Since the passage of the 1986 NCVIA, the vaccine schedule has expanded significantly. Just because someone really wants you to take something, doesn’t mean you don’t have a right to know what is in it. PLEASE- keep your comments focused on the policy at hand. This bill is about consumer access to information. This is not a debate on the pros and cons of vaccines. Keeping your comments and the responses of others centered on this bill and not all the issues associated with it, is important. Those that support our vaccine recommended schedule and those that choose an alternative schedule can ALL support the right for access to information on this product. Bill Title: Relating to information regarding vaccines; prescribing an effective date. Summary: Requires licensed health care provider to provide vaccine information packet to patient to whom licensed health care provider administers vaccine. Requires Oregon Health Authority to maintain website that provides specific vaccine information. (d) A list of any ingredients that are considered high priority chemicals by the authority under ORS 431A.255.